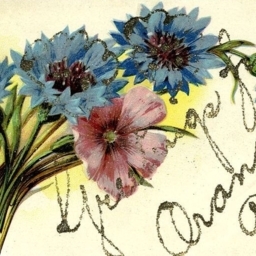 Postcard with flowers and a "Greeting from Oranda Va."
M.M. 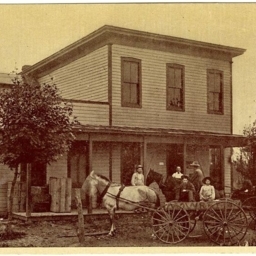 Orndorff's Store, Oranda, Va.
Postcard with a picture of M.M. Orndorff's general store in Oranda Virginia. Picture includes individuals, horses, and a wagon. M.M. 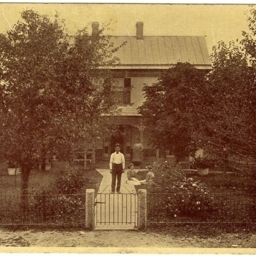 Orndorff's Residence, Oranda, Va.
Postcard with a picture of M.M. Orndorff's residence in Oranda and a man on its front walk.